My dear talented friend Shannon has started this wonderful journey of creativity and and makes beautiful handmade cuffs. I just wanted to be able to share these with you because they are each made with love. I really want this one and its based on the verse from Jeremiah 29:11. Personally, I own the "Courage" cuff because I need to be reminded to have courage daily. These cuffs are a great reminder and are beautiful on as well. 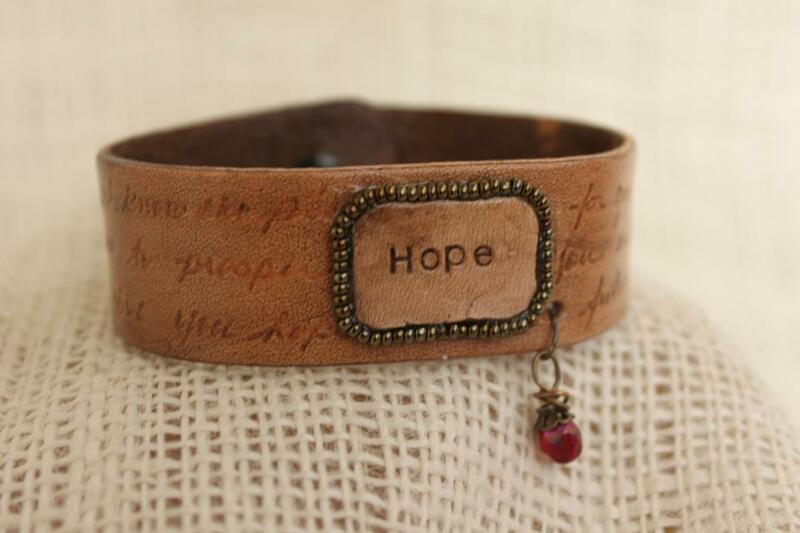 Please take a look at her beautiful website for encouragement and find yourself lovely cuffs to purchase as well. Just click HERE!